Dimensions 0.25 by 10.25 by 8 in. 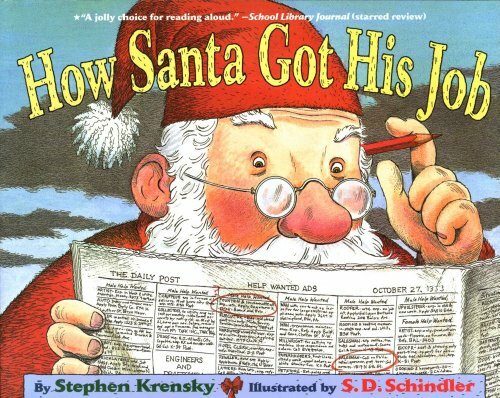 Before he began flying through to air on Christmas Eve, Santa Claus had lots of other jobs, including delivering packages, cooking, and being a zookeeper, in a hilarious tale for young children. Reprint. Amazon.com description: Product Description: Have you ever wondered what Santa did before he was Santa? About: Before he began flying through to air on Christmas Eve, Santa Claus had lots of other jobs, including delivering packages, cooking, and being a zookeeper, in a hilarious tale for young children. About: Santa tries his hand at many jobs before finding the perfect job as the world's greatest gift giver. About: If you think Santa Claus came into the world sporting a red suit and a white beard, think again.